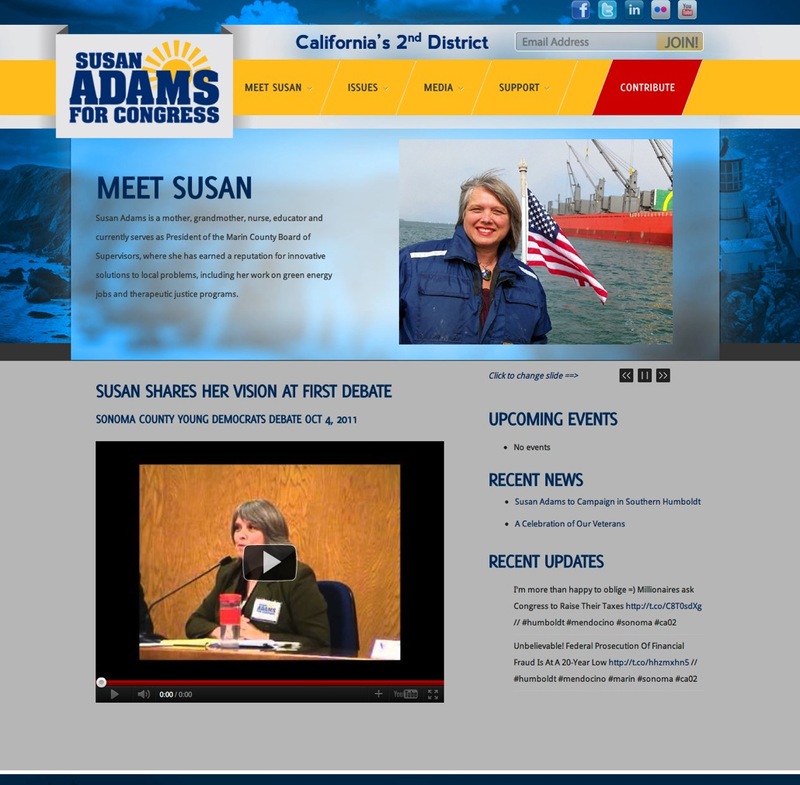 Dr. Susan Adams is running for Congress to fight for healthy communities on the North Coast. 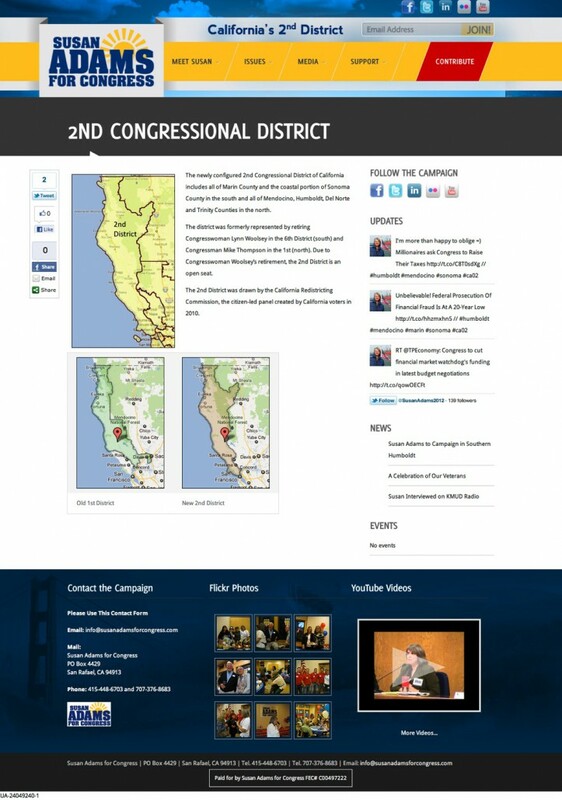 As a member of the Marin County Board of Supervisors, Susan was instrumental in establishing the Marin Clean Energy program. 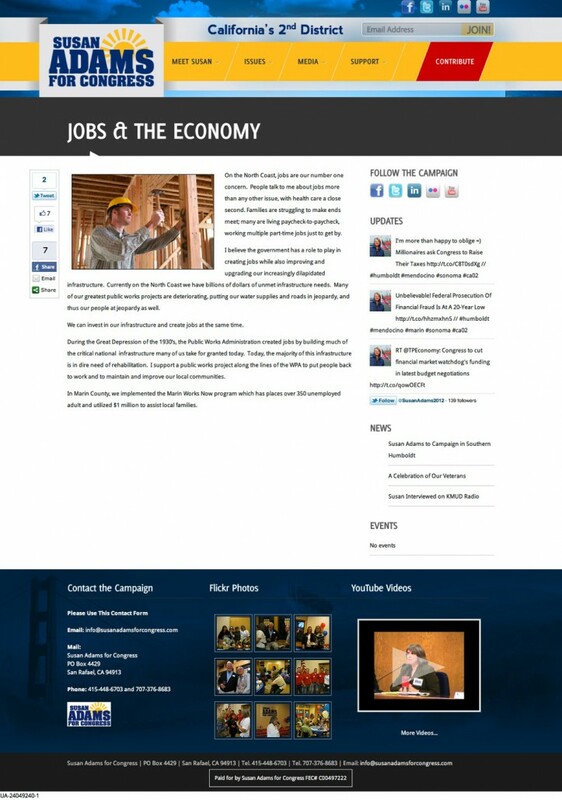 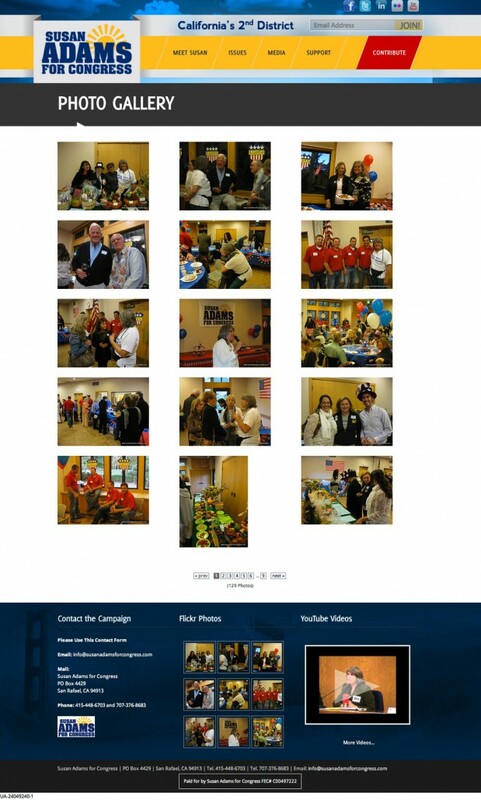 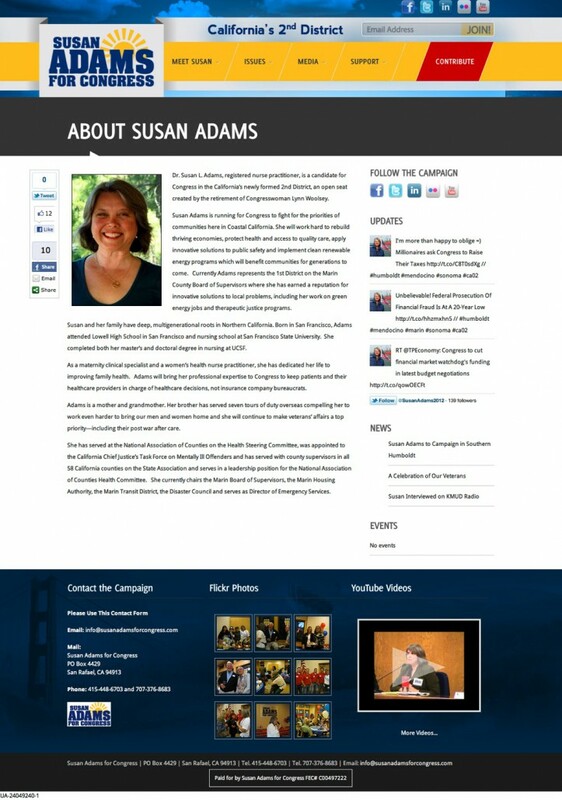 Susan Adams’ campaign wanted a new website that reflected her family’s deep multi-generational roots in Northern California and to discuss issues with constituents.